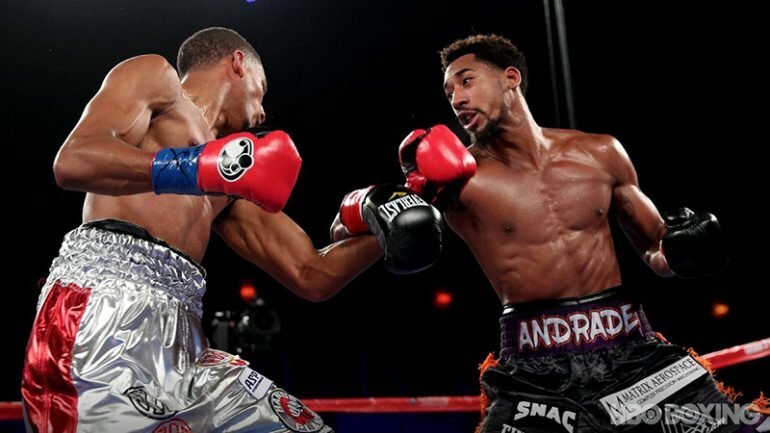 Former junior middleweight titleholder Demetrius Andrade made his middleweight debut look easy by dominating Alantex Fox over 12 rounds on Saturday at Turning Stone Resort & Casino in Verona, New York. Andrade (25-0, 16 KO’s), 29, of Providence, was charged with a knockdown in round seven, although it appeared the 2008 U.S. Olympian slipped. Aside from the error, Andrade was in full control. 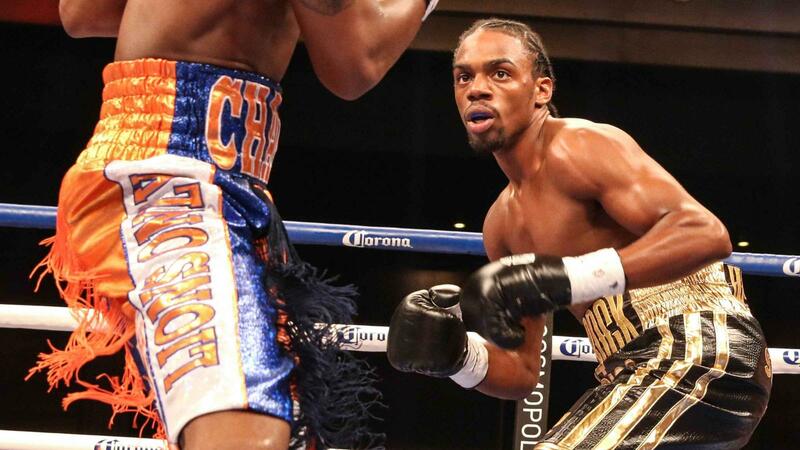 Fox (23-0-1, 11 KO’s), 25, of Forestville, suffered his first professional loss. 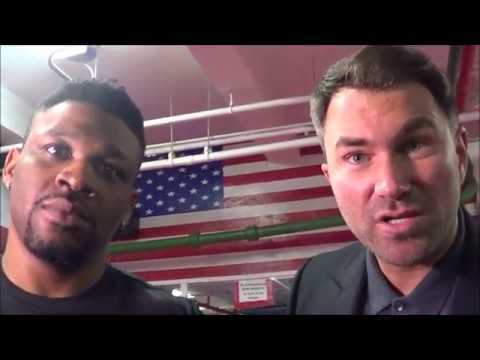 Although he rehydrated 20 pounds from Friday’s weigh-in, it did not have an impact on the fight, as Fox was nearly floored by Andrade in the opening round with a booming overhand left. Andrade, the 2007 World Amateur Champion, repeatedly beat Fox to the punch and stunned his man once again with a big left in the ninth round. 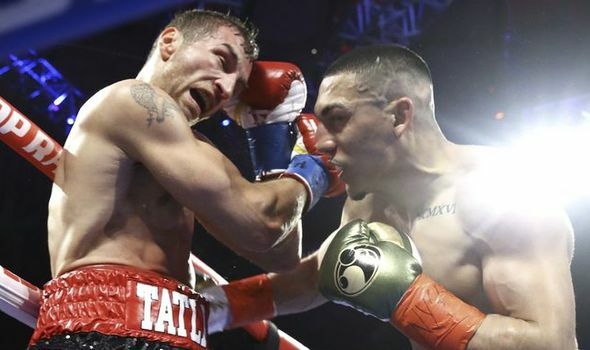 Andrade, who won by scores of 118-109, 118-110 and 116-111, had only fought four times since the winning the vacant WBO super welterweight title by split decision over Vanes Martirosyan in November 2013, and was not as precise in his last fight against Jack Culcay – a split decision victory in March. 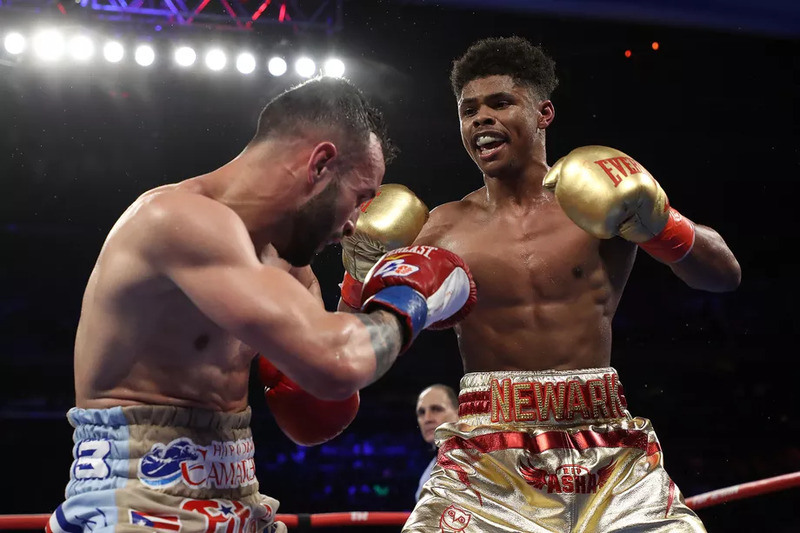 Although both fighters touted undefeated records coming into the fight, it was Andrade who exemplified that he had the better skills, ring generalship, and the experience. However, Andrade wasn’t facing a world-beater. 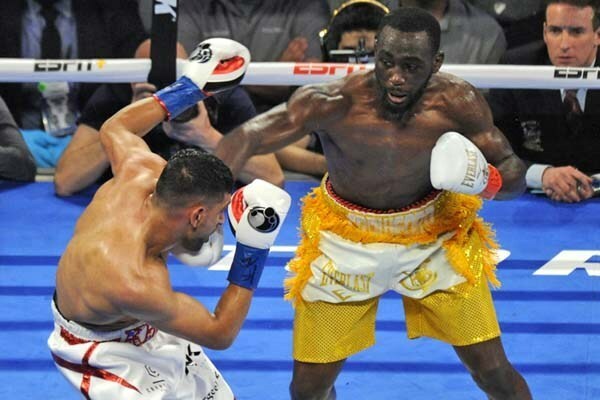 He was in the ring against a top-15 prospect that had yet to be tested by world-class opponents. 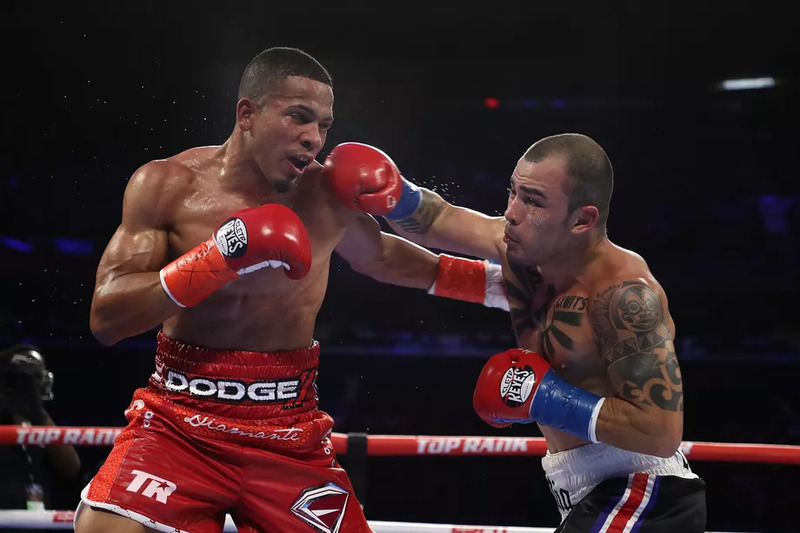 Andrade has the skill to give any of the top middleweight fighters including Gennady Golovkin, Daniel Jacobs, Jermall Charlo, and Saul “Canelo” Alvarez” a tough fight. 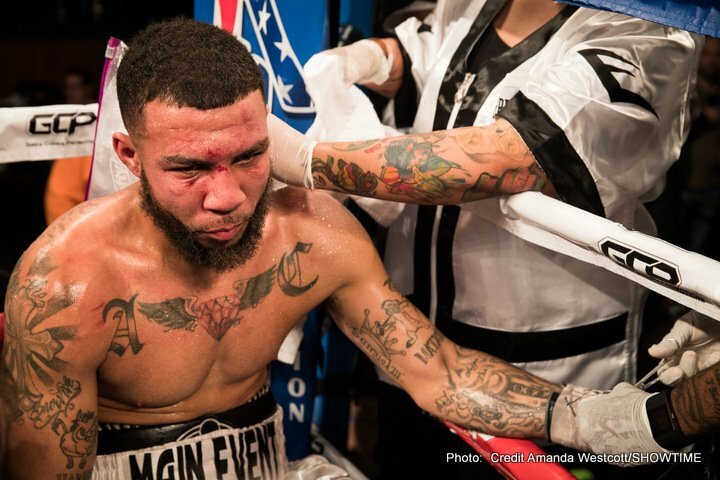 But if he wants to be mentioned among the elites of the division and receive the love and respect of boxing fans that he has desperately tried to seek, Andrade will have to step it up in 2018.